If you follow us on Instagram, Facebook, or Twitter you know that we are celebrating summer by having our first ever 7 Day Summer Sale! Each day we will be releasing a new deal that will expire after 24 hours. This is the perfect chance for parents to stock up on our games before their kids are on summer break. It’s also a good opportunity for teachers to order our games to get prepared for the next school year. Games can also be donated to students in need or sent as a birthday or graduation gift. 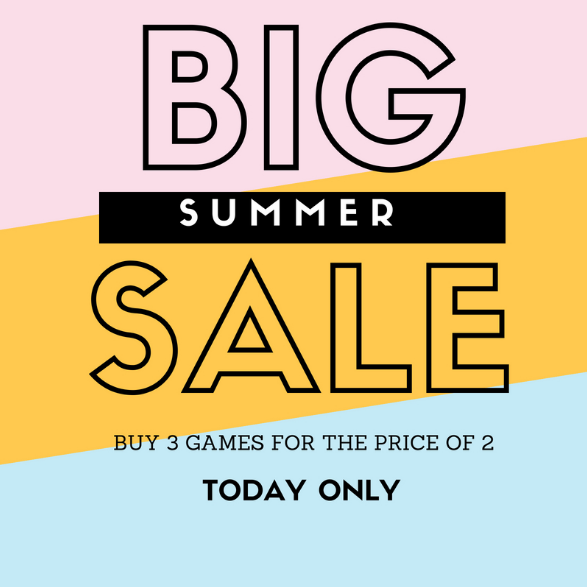 In honor of day *2* of our summer sale, you can buy 3 games for the price of *2*! Get your discounted games here. ← 7 Day Summer Sale Starts Today!